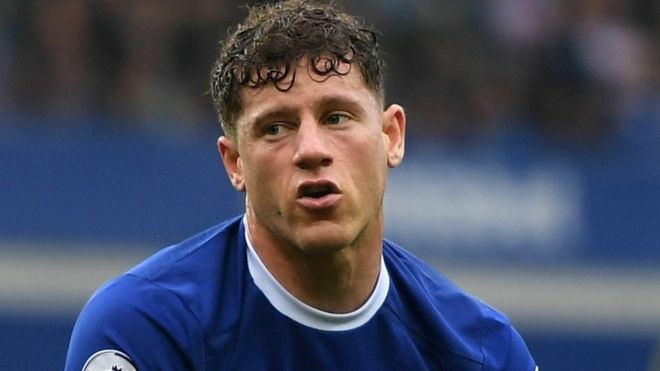 Ronald Koeman has advised Ross Barkley's suitors -- including Tottenham Hotspur -- that Everton won't take a below-market proposal for the England international near the close of the transfer window. Everton have yet to get any bids because of their homegrown midfielder despite him entering the last year of his contract and refusing to sign a new deal. Spurs are expected to move with reports that this week asserting Daniel Levy, that their chairman, is ready to cover £ 25m. Koeman considers Barkley will leave Goodison Park this summer but insists Everton won't be hostage to a deliberately overdue, undervalued offer for the midfielder. Everton paid £ 30m to sign Michael Keane from Burnley, when the England defender had 12 months remaining on his contract at Turf Moor to a equalling, and their supervisor has indicated that's the going rate for a participant in Barkley's position. "We have the experience of what we will need to cover players who arrived here and had one year of contract. If there's a club believing we could wait until the last day and we embed some cash on the board and we get Ross Barkley, sorry, you don't get Ross Barkley." He added: "When there's an offer, possibly the club won't accept. He is a player; an player, a participant. With all the valuations we've seen the last couple of weeks about gamers, then in the event that you would like to purchase Ross it's a big [monetary] deal." Asked if he believed Levy's strategy would be to sign Barkley using a cut-price offer late at the window, the Everton manager responded: "I don't know. I am not certain. I have some expertise. When I was in Southampton we missed some players [like Victor Wanyama to Spurs] but I'm mentioning the title of no club." Koeman said: "I still think he will make the move. If not, he's a participant of Everton and when he shows to me he's among the best then it's possible he can begin, like everybody else." Everton have had deals worth around £ 40m and £ 45m refused for the Iceland midfielder this summer but Koeman said: "We're close. Let's hope we get an agreement. We're still in discussions with Swansea although I heard some rumours that the talks broke down. "I've heard the remarks of Paul Clement, the director of Swansea. Of course everyone wants news, that it's better for us and it's better for them." That opinion is shared by Clement, who won't consider Sigurdsson for Swansea's opener at Southampton on Saturday and requires a resolution to finalise his plans for the new season. The Swansea manager said: "I believe that the way it is going there has to be more than likely an agreement on both sides and that is very often the way the deal is made. Normally when the two deals are done it is a win-win situation for both sides." The breakthrough will come after discussions and talks that have lasted for at least a month. Sigurdsson wasn't a part of the Swansea squad that drew 0-0 with Southampton on Saturday in their opening Premier League game and hasn't played a match of any description as a pre-season friendly at Barnet on 12 July. His decision to pull out of the club pre-season tour motivated a stance to be adopted by Swansea over the conditions of his departure and made clear his intention. Swansea will now press ahead with reinvesting the Sigurdsson cash by creating a few signings of their own, beginning with Wilfried Bony, who's expected to rejoin from Manchester City. The Ivorian had a spell at Swansea prior along with there is in principle a deal thought to be to bring him back. Nacer Chadli has been targeted as a major primary replacement for Sigurdsson, together with the Belgium global keen to leave West Bromwich Albion after less than a year in the club. Stoke are determined to hold on the Wales and there's absolutely not any hint that a move has been agitated for by Allen. The England midfielder, who missed Everton Premier League game of the season against Stoke City due to an ankle problem, has signed on a first one-year deal for an undisclosed fee to the Baggies.